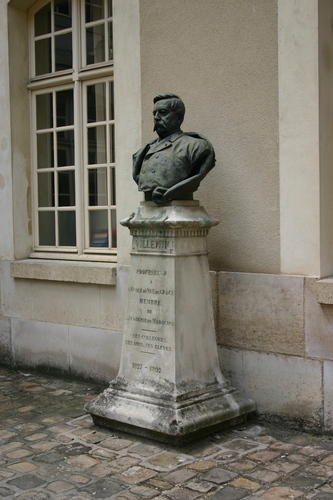 This bronze bust of Jean Antoine Villemin can be seen in the courtyard next to the entrance to the Military Health School in the Hôpital d'instruction des armées du Val-de-Grâce in Paris (Place Alphonse Laveran). 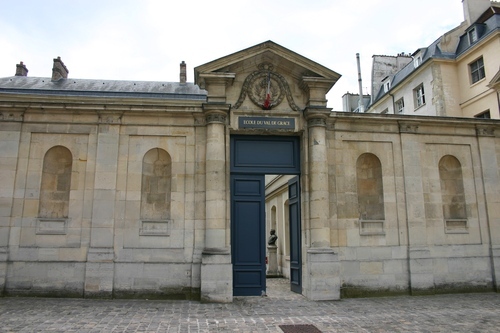 The French inscription on the pedestal of the monument, which was erected by Villemin's colleagues, friends and students, remembers that he was longtime Professor of this School and member of the French Académie Nationale de Médecine. On the wall, next to the bust, a marble tablet remembers his discovery of the transmissibility of tuberculosis.